Flight Review: Is Virgin America still as hip as before? For my trip to Hawaii, I had to find a flight home as I booked a one way on Hawaiian there. Virgin America has the cheapest flight back from Maui to LA, so I snagged a $219 one-way home. A major plus is that I have Virgin America Silver Status (due to status match), so I got preferred seating (front of the main cabin) and one free checked bag. Check-In was really quick, as there was no line for the First/Main Cabin Select/Elevate Silver/Gold Line. TSA at Maui Airport was actually quite crowded on a Saturday at 11 A.M. (30 minute wait). Boarding was swift, and I was in row 6, sitting in preferred seating. The plane was very new, only about a year old so I was quite surprised how many stains were on the floor and how many crumbs/trash were embedded. The legroom was really good, with the slim line seats. And, I love the leather interior and mood lighting. I haven’t flown on VA for about 5 years now, as many other airlines have “caught up” in terms of new planes and in-flight entertainment. To answer the question, Is Virgin America still as hip as before? 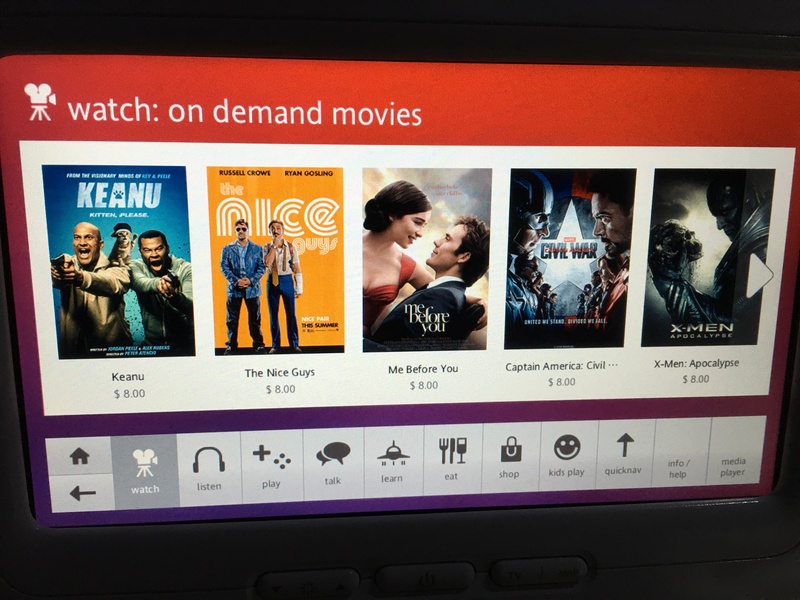 : While Virgin America is still “hip”, it is not as special as it used to be 8 years ago, as many (if not most) of the mainline carriers are adding mood lighting, entertainment and slim leather seats as well. Well, yelp. I remember when I loved VA on my first VA experience in 2008 when they had satellite TV and one of the coolest in-flight entertainment devices in the industry. Anyone remember when Doom was a video game on VA? I miss those days and sadly on this flight, satellite TV was NOT AVAILABLE due to the fact of flying over the pacific. So, the only complementary entertainment offered was a few recorded TV shows which I will admit is better than nothing! It beats Hawaiian who charges for TV/movie packs, but is worse than Delta+United to Hawaii as I flew Delta to Hawaii and they offered free movies and United let you stream free movies to your device. And, well no satellite tv= no wifi as well because we were flying across the pacific. Virgin America claims to have fleetwide wifi, but it doesn’t work for Hawaii yet sadly. They will have ViaSat wifi on their Hawaii services by the end of the year. On another note, the seat to seat chat is still cool, and I like how you can order drinks on the screen. Music is actually quite limited, as most of the artists are new and most mainstream artists were not offered.. The service was probably the major miss of the flight. Sure the crew was nice and professional as one would expect with Virgin America, a Skytrax 4 Star airline. But, VA does not have any complementary snacks and for a 5 hour service they only have one beverage service. Delta and United had 2 beverage services (and snacks) on my last 2 Hawaii flights, a standard for 5 hour flights. I think with the “order on your screen free drinks” it allows VA to cut back on traditional beverage service. I don’t mind the one beverage service, but what I do mind is when I order a drink on the screen and it takes 30 minutes for me to receive a drink. Not impressed. Overall, Virgin America is a great airline to fly. But honestly, it was very innovative 8 years ago and hasn’t changed much while mainline carriers are starting to catch up, even on domestic flights. I would definitely fly Virgin America, but not make the extra effort to, nor pay a premium for this airline. 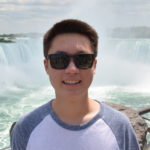 A college student who loves to create vacation packages without breaking the bank. He loves flying and relaxing at hotels, and you can explore Tyler's world here. Also its not VA its VX…. I know where you are going with VA but it could confuse some people. Flied? The correct word is “flown”. Other than that, thanks for the interesting review.